Mark Zuckerberg and Bill Gates are two pioneers in the field of technology and telecommunications. The first invented Facebook – one of the most famous and used social networks of all times – while the latter is the principal founder of the Microsoft Corporation, one of the world’s largest PC software companies. Both Zuckerberg and Gates are incredibly talented in computer programming and IT, and both dropped out of Harvard – one of the most prestigious universities in the United States – to devote their time to completing their projects and pursuing their entrepreneurial careers. Zuckerberg and Gates revolutionized the tech industry and the entire world, allowing millions of people to communicate in a quicker manner and to share their lives with friends and family members all over the world. Both entrepreneurs and tech pioneers have faced – and continue to face – significant challenges and legal battles to protect and improve their work. In particular, Facebook – Zuckerberg’s creation – is currently in the midst of a world-large debate after it resulted that the platform hacked and collected personal information of millions of users, which has – in turn – been used to manipulate voters’ and citizens’ opinions. Even though their accomplishments and their strategies have often been up for debate, it is undeniable that Mark Zuckerberg and Bill Gates contributes in changing the world, allowing digitalization and fast-communication techniques to spread. Mark Zuckerberg was born in 1984 in White Plains, New York, and currently lives in Palo Alto, California, with his wife, Priscilla Chan, and their two children. Zuckerberg is one of the most influential computer programmers and Internet entrepreneurs of our times. 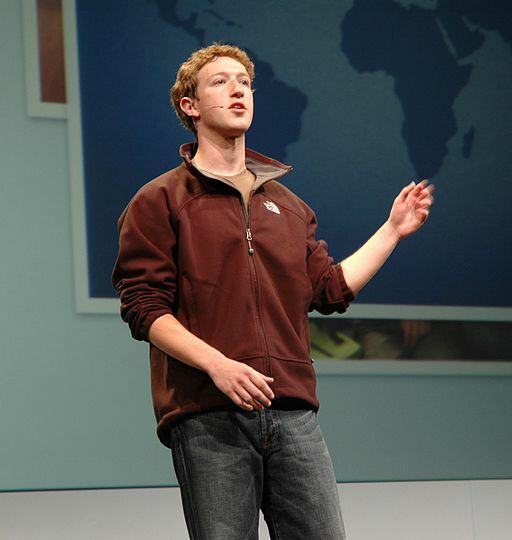 In 2004, Zuckerberg and his college roommates (Eduardo Saverin, Andrew McCollum, Dustin Moskovitz and Chris Hugues) created and launched Facebook from their Harvard dorms. The platform – which allows users from all over the world to post pictures, write personal thoughts, share information and communicate with any other Facebook user all over the world without having any expenses – reached one billion users in 2012. Zuckerberg is currently chairman and CEO of Facebook, but had to face several legal battles with the other cofounders who claimed they were entitled to a larger share of the company and of the profits. Today, Zuckerberg is one of the richest people on earth, with an estimated net worth of about $62 billions. Part of his earnings have been used to support charities, such as the start-up Education Foundation, the Diaspora and many others. Mark Zuckerberg has been at the center of several controversies, particularly regarding the treatment and handling of users’ personal and confidential information. Recently, Facebook and Zuckerberg have been the focus of the Cambridge Analytica scandal, and they have been accused of allowing the British political consulting firm to use Facebook to manipulate the users’ opinions and preferences in proximity of national elections. Zuckerberg is currently being requested to appear in front of several courts and judges to defend his positon. He has promised to take action in order to halt the misuse and manipulation of Facebook users’ information, but the scandal has led hundreds of people to delete their accounts and has cost Zuckerberg millions of dollars. 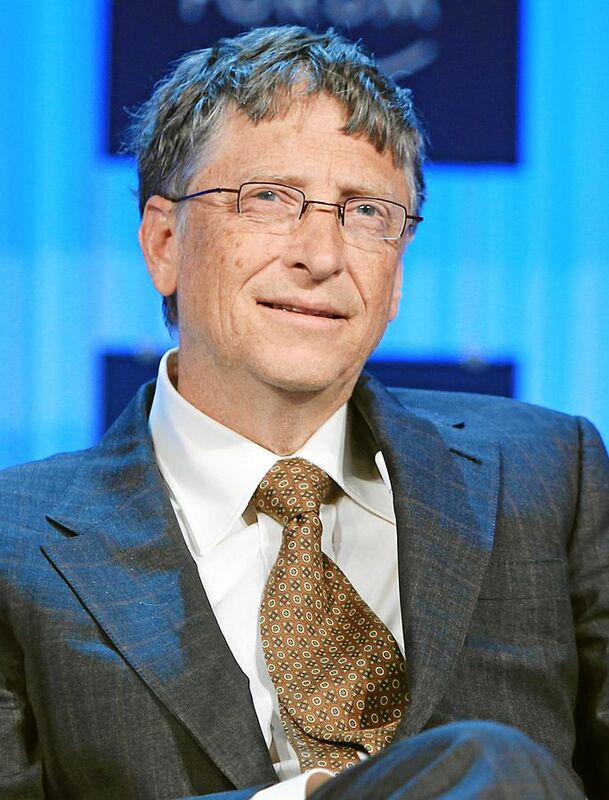 William Henry Gates – also known as Bill Gates – was born in 1955 in Seattle, Washington, and currently lives in Medina, Washington. He became one of the most famous entrepreneurs and philanthropists in the world after in 1975, along with Paul Allen, Gates launched Microsoft – one of the world’s largest PC software companies. Today, Bill Gates is co-founder and technology advisor of Microsoft – after having been chairman, CEO and chief software architect for the company –, CEO of Cascade Investment, chairman of Branded Entertainment New York, co-Chairman of the Bill & Melinda Gates foundation (a charity that works to end poverty, to promote adequate healthcare, and to facilitate access to education and technology), and Chairman of TerraPower. Bill Gates is thought to be the richest man on earth, with an estimated net worth of over $90 billions. With his wife Melinda, he is engaged in philanthropic activities and is committed in giving back to the community and to help combat world poverty. Earlier in his career, Gates was forced to face several legal battles against claims of anti-competitive business tactics. After stepping down from the position of chairman and CEO of Microsoft, he started to work part-time at the company while devoting most of his time to the Bill & Melinda Gates Foundation, through which he is donating large sums to several charitable organizations as well as scientific research programs. They are both known for their relaxed and casual style. Even though they are billionaires, they often dress with casual clothes rather than expensive suits. Bill Gates had a clear vision of what he wanted to achieve and what his goal was, while Zuckerberg (along with his colleagues and fellow students) created Facebook with the primary intention of providing a tool to facilitate communication among students on campus. Facebook popularity escalated rapidly among students, and slowly began to spread even outside the campus, even though Zuckerberg had not originally planned it. As such, Zuckerberg’s success was not as intentional as Gates’ was. Other key differences between Mark Zuckerberg and Bill Gates are outlined in the table below. Zuckerberg had to face – and continues to face – various legal disputes. First, he had to face several lawsuits from HarvardConnect and Facebook cofounders, and was later involved in legal hearings concerning Facebook’s role in banning illegal, dangerous, threatening or defamatory content from the platform. Facebook was also under scrutiny for the misuse and leak of the users’ personal data and information. One of the main legal disputes in which Gates was involved is the United States v. Microsoft Corporation antitrust law case (2001) settled by the U.S. Department of Justice. Microsoft was accused of using anti-competitive practices and of holding a monopoly in the industry. Zuckerberg donated money to a number of charities, including Diaspora – a web server that distributes social networking service -, the Silicon Valley Community Foundation, Biohub, and to an organization combating the Ebola virus epidemic in West Africa. Zuckerberg also founded the start-up Education Foundation and the Chan Zuckerberg initiative. Aside from donating to various charitable organizations and to universities and education institutes, Bill Gates founded the Bill and Melinda Gates Foundation which aims at improving education opportunities in the United States and at promoting adequate healthcare and at ending poverty on a global scale. Mark Zuckerberg and Bill Gates are two of the world’s richest entrepreneurs and are two pioneers in the field of technology and telecommunications. Yet, despite some similarities in their career and in their field of expertise, they differ significantly in the way they run their companies. Both had to face various legal controversies and both are involved in philanthropy and charitable works, but their style and their life choices are very different – and their age difference plays an important role in highlighting the differences between the two. Giulia Squadrin. "Difference Between Mark Zuckerberg and Bill Gates." DifferenceBetween.net. May 31, 2018 < http://www.differencebetween.net/technology/difference-between-mark-zuckerberg-and-bill-gates/ >. Great article. Zuckerberg has long way to go in his philanthropy before he catches up with Bill Gates…. They are both grifters who have privatized, feudalized, and hoarded technology from the public commons (from which they benefited handsomely) and will hold back further technological and social progress decades if not centuries through monopolization, obscene levels of monetization, and fraudulently skirting the patent system through technology obfuscation, and trade secrets. Its par for the course these cheaters have and continue to collude with criminals in our intelligence agencies to expand the surveillance state in a massive scale privacy crimes aginst 4th Ammendment rights while promoting a corporate elite agenda through propaganda and censoring free speech…risking our very democracy. Meanwhile, regulators asleep at the wheel, turn a blind eye to enforcing antitrust legistation prohibiting such monopolistic power, racketeering, and unmerited wealth and resource extraction. Both belong in prison, and should share enough Pigovian taxes to place them into poverty…not receiving accolades from bootlickers in the media who want a piece of their corrupt pie. Gates, Bill. "An exclusive interview with Bill Gates." Financial Times 1 (2013). Phillips, Sarah. "A brief history of Facebook." the Guardian 25.7 (2007). Zuckerberg, Mark. Mark Zuckerberg. AV2 by Weigl, 2016.